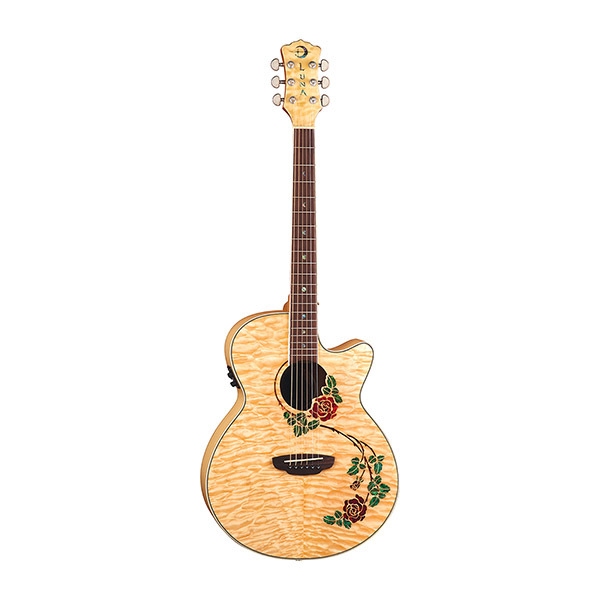 The Luna Flora Lotus Acoustic Electric Guitar is the perfect companion for musical creation with the full sound produced by its grand auditorium cutaway body design and the versatility offered by the instrument's onboard Fishman Isys+ preamp. 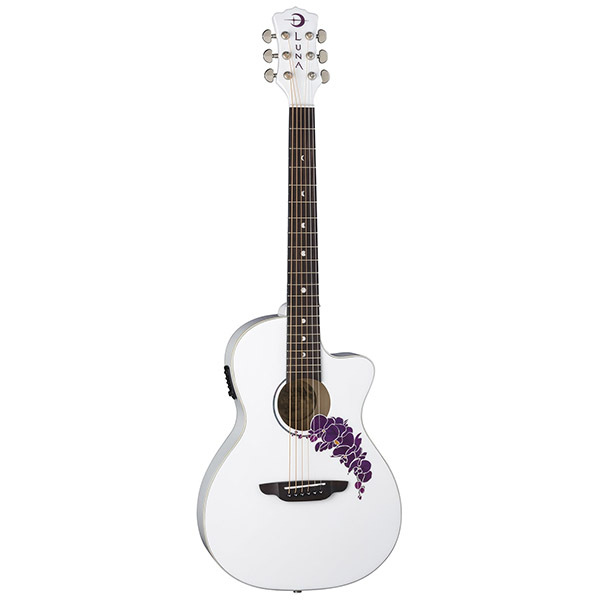 The guitar's unique soundhole takes its shape from the outline of the pristine white flower floating majestically on a background of deep plum. 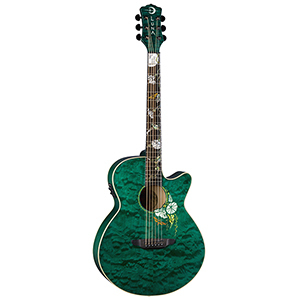 An inlaid Om symbol marks the 12th fret of this graceful and inspiring instrument.